One of the best ways to experience Chiang Mai and make yourself at home is to book a stay at a luxury hotel. With a wide array of luxury hotels located throughout the city, there is accommodation to suit every style. In fact, Chiang Mai offers fantastic value for money when it comes to all things luxury, so if you’re looking to splurge a bit during your stay, consider treating yourself to a relaxing day at Heavenly Nails, one of Chiang Mai’s top rated salons. When planning your upcoming itinerary, here are a few nice hotels to consider. Known as the first luxury resort in Chiang Mai that is a bucolic retreat, the Four Seasons Resort Chiang Mai features a lush landscape that includes rice barns and fresh flower mandalas. The restaurants at the hotel serve culinary Thai cuisine with private cooking classes available. Each room costs approximately $640 per night. The hotel is located 30 minutes from downtown with nearby attractions that include Supha Bee Farm and Elephant Poopoo Paper Park. Dhara Devi stands out for its 13th-century architecture with teak wood villas scattered across 60 acres. 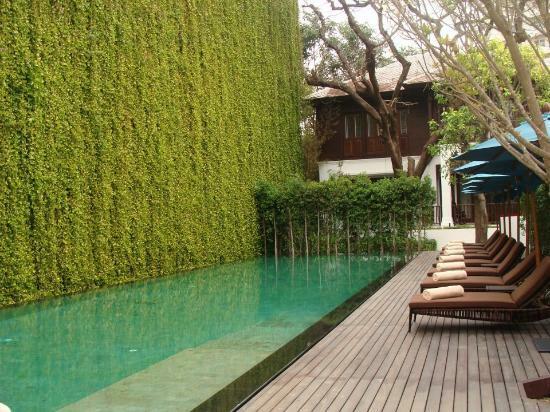 Wood-carved furniture, Thai silks, and local textiles are used to furnish each villa. A newly renovated spa is present on the grounds where guests can feel pampered with facials and massages that are provided. Restaurants, boutiques, and a pastry shop are also present on the grounds. Each room averages to $500 per night. Although transportation is needed to get to the downtown area, there are many national parks nearby for those who want to explore the lush landscapes of Thailand. As one of the top boutique hotels in Chiang Mai, 137 Pillars House welcomes guests to stay at 30 different suites at an establishment that is located in the residential Wat Gate neighborhood. The hotel is unique because it sits on 137 pillars and was constructed by Louis T. Leonowens in the 19th century. Nearby boutiques, restaurants, cafes, and galleries are within walking distance. The sleek and modern style of 137 Pillars House offers a fun and lively place to stay. A lounge area is present where guests can have a drink before enjoying a meal at The Dining Room. The clean designs of the pools on the ground coupled with manicured gardens create a stunning environment that is considered to be a gem in the city. 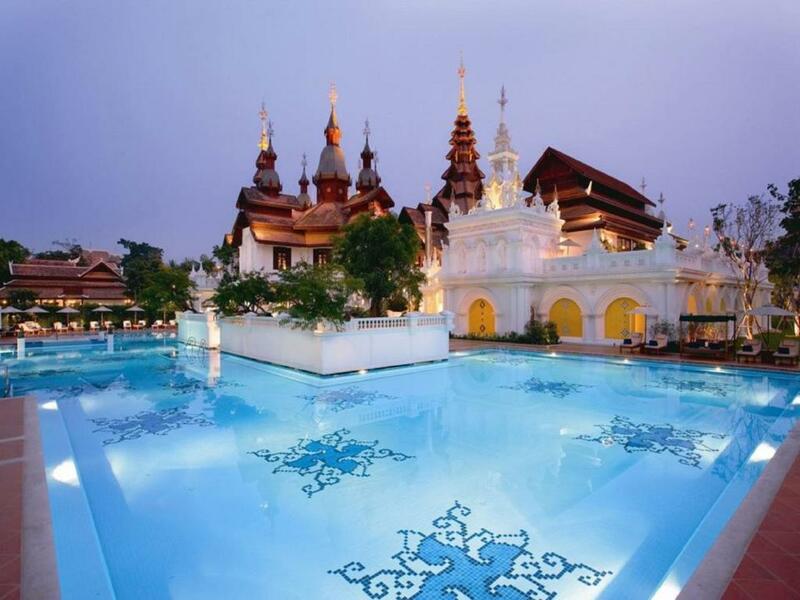 Na Nirand Romantic Boutique Resort is favored by guests for its classic Northern Thai style and upscale architecture. Nestled in the heart of Chiang Mai, the hotel is in proximity to Chiang Mai Old Town and makes it easy to access by car or foot. Spacious rooms are available to guests, which include regal wooden furniture. Many of the rooms feature living rooms. The outdoor pool is the focal point of the setting, which sets the tone of a tranquil and luxurious setting. One of the highlights of the Na Nirand Romantic Boutique Resort is the peaceful views of the Ping River that are available. Some of the top attractions to visit nearby include Art in Paradise and Chiang Mai Night Bazaar. The average price of the resort is $215 per night. 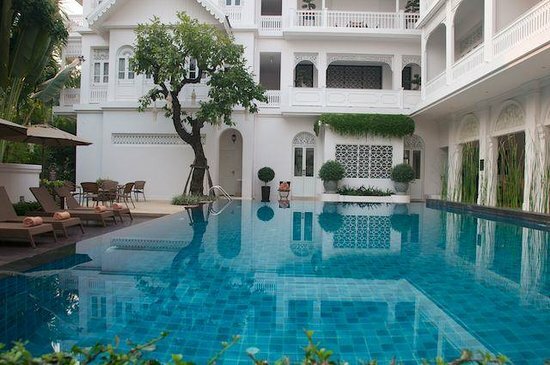 The Ping Nakara Boutique Hotel & Spa is known for its gingerbread architecture in a colonial-style building. The establishment features a full-service spa and an outdoor pool. 19 decorated rooms are present in the hotel in a quaint and quiet setting. The hotel breakfast is one of the highlights of the establishment with smoked duck and salmon served with organic yogurt. Happy Hour is also hosted daily for those who want to enjoy complimentary drinks that are served by the staff in the afternoon. The level of accommodation and service provided to guests makes it one of the top luxury hotels in Chiang Mai. The hotel is centrally located in the city and is a 15-minute walk to Riverside and Art in Paradise and Warorot Market. Each room costs an average of $215 per night. Read more here for a list of Chiang Mai’s best party spots.